The Scubapro K2 Extreme represents the latest in thermal protection for drysuit diving. Designed to be used in the harshest of conditions it'll keep you comfortable in near freezing conditions. The K2 offers substantial compression protection around the shoulders, chest and knees improving comfort at depth while prolonging the life of the undersuit. Maximum Thermal Protection - The K2 Extreme offers the most thermal protection of the K2 range. It’ll keep you toasty in the most brutal of conditions! 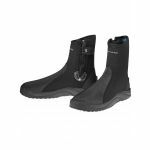 Compatible With trilaminate Drysuits - The K2 has been specifically designed for trilaminate drysuits. Compression Protection - Padded compression around the shoulders, chest and knees improves comfort as your wet- or drysuit compresses at depth. Easy pull-on straps - Straps at the heels and wrists make donning and doffing the K2 Extreme simple and painless. The heel straps ensure the K2 stays in place during your dive. Front double slider zipper - The mens model features a front double slider zipper. When You Gotta Go... - Holes on the drysuit legs can be adapted to Pee-valves. Who is the Scubapro K2 Extreme For? The Scubapro K2 Extreme is suitable for any diver, profession or recreational who dives in extremely cold conditions. That said, the K2 Extreme can be combined with a wetsuit allowing you to use your wetsuit in water temperatures that would normally be too cold.